Leonard Pike, the creator of the Texas 1015 supersweet onion and a well-known agricultural research scientist who worked in the Rio Grande Valley, died last month. He was 78. Pike died Jan. 12 in Georgia while in hospice care due to Alzheimer’s complications. He and his wife, who he met in 8th grade, moved from College Station to Georgia in 2012 to live near his daughter, Leann Dakake, and grandchildren. “He kind of peacefully went to sleep,” Dakake said. Although Pike was not raised in the Rio Grande Valley, he spent weeks-long periods in Weslaco, the birthplace of the Texas 1015, a yellow, sweet onion he developed there through open pollination. It was less pungent than a traditional onion, and believed to be an ancestor to current sweet onion varieties. Weslaco celebrates Pike’s creation each year by hosting the Texas Onion Fest, an event attended by locals for its blooming fried onions, 1015 market and onion eating contest. 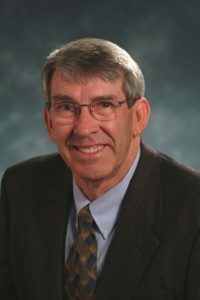 Pike was born in Arkansas and moved to College Station in 1965 — after graduating with a doctorate in horticulture — where he founded Texas A&M’s vegetable and fruit improvement center and worked as a professor. He was known for transcending his role, serving as a mentor to graduate students. In addition to creating the Texas 1015, Pike developed the maroon carrot and cucumber varieties. He spent much of his time in South Texas in McAllen, Harlingen and Weslaco, where he grew the first sweet onion. “They were probably like second homes to him,” Dakake said. 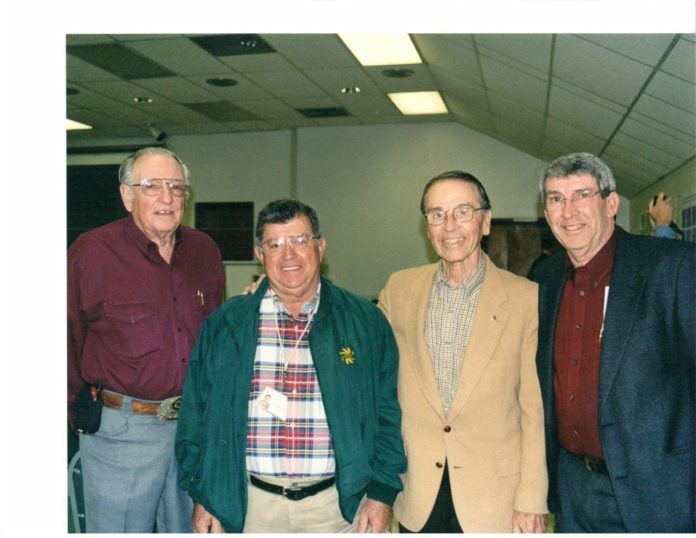 While working in the Rio Grande Valley, Pike met several people in the agriculture industry, including José Amador, the former Director of the Texas A&M AgriLife Research and Extension Center in Weslaco. “A lot of the work that Leonardo did in order to improve varieties of vegetables that people in the Valley grew was done here in the South Texas area,” Amador said. Pike’s work took him around the world, where he’d test different climates and soils. His onion caught the attention of former President George H. W. Bush, who asked for it by name — the Texas 1015. It was named after its planting date, October 15. Although Pike found success in his research, he had humble beginnings growing up on a farm in rural Arkansas, where he lived part of his childhood without electricity and running water. It was there where he was first introduced to gardening, but the agriculture field was not in his original life’s plan. Pike was the first in his family to attend college. When not conducting research, cultivating crops or helping his graduate students grow, Pike would spend time with his daughter and son. One of Dakake’s favorite memories of her father is the year he coached her fast-pitch softball team with two of his graduate students. “I remember that that was something that really stood out,” she said. Pike would also take Dakake and her brother Gary Leonard Pike to trade shows, where he’d fry onion rings. He worked with produce companies, such as Star Produce, owned by Robert Arvid Peterson of Rio Grande City. The produce company grew and shipped about 800 acres of Pike’s supersweet onion each year. Pike’s onion then hit shelves at supermarkets throughout the country. The onion, from 1983-98, contributed about $1.2 billion to the Texas economy, according to information provided by Texas A&M AgriLife. Posthumously, Pike continues contributing to science and research. He donated his body to the University of Philadelphia, where medical students will use his remains to study the progression of Alzheimer’s, a neurodegenerative disease. “He will be educating future scientists and doctors in the next 18 to 24 months,” Dakake said. His family and friends will celebrate Pike’s legacy at Still Creek Ranch in Bryan on Saturday, April 13. The celebration of his life will be open to the public. Though Pike was mostly unable to communicate during his last moments, he would occasionally convey a message close to his heart.